With the world becoming a more technologically advanced version of everything that was done manually before, cities have been growing in terms of their standard of living as well. How? Well, when everything is available at your fingertips that too with utmost quality and affordable prices, the standard of living surely will rise high, isn’t it? Today, every business wants to have their presence online and that is when an SEO agency comes into the picture. An SEO agency, Melbourne is the one who is there for you to handle all your SEO queries at one go. 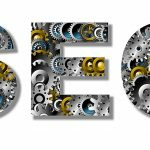 What is an SEO agency all about? Wondering why you need a separate SEO Agency for your website to work. Well, an SEO agency will have the required knowledge, experience and skills pertaining to the field and that is why it is always better to hire them for your SEO needs. They are the ones who know the market in and out and they will provide you complete Search Engine Optimization solutions for your website. They are the agencies that have solutions for all new and existing websites. Do you research well: Before you hit the target, it is important that you are prepared for it. So, research well about the existing companies and their services. Find out about why some companies are successful and why the others aren’t. This will help you to select the best and not waste your time on the rest. Compare the services: When you do your research, you will have a list of companies that suit your requirement. So, when you have that list, compare the services of each company with the rest of the agencies. This will help you to decide which company is offering you the best services at the most affordable prices. Check out reviews: This is an integral part of your SEO agency selection process. Why? Because reviews come from real-time customer experiences and that is why it is recommended that you check them out. Customers do not hesitate to give good and bad reviews so they are the best ones to suggest you if the agency is a hit or a break. Ask them for some trial: It may sound embarrassing but asking for a free trial or sample of their work will help you a lot to get an idea of how the agency works. You may not get all services in the sample, but you should surely ask them for a sample of all critical requirements. The technology used: This is also an important factor to keep in mind while selecting the best SEO agency. It is vital the SEO agency that you select should be using the latest technology so that you are able to derive the best outcomes for the SEO service. So what are you waiting for? Now that we have suggested you some quick tips on how to select the best SEO Agency, Melbourne uses them all to your advantage to hire the best one. Once you select the best, you will see that all your time and money is being invested in the right place.